I’ve been thinking a lot recently about how to put Salisbury back on the map (in a good way), as it were, after its strange and significant setbacks in 2018, and I was rather disheartened by reports of the multi-million pound retail project proposed for the centre of city, which seems to me to lack vision and a sense of place. Salisbury has many strong points, but it does not always do a brilliant job of making the most of them – there are beautiful parts of the city but they are not well connected with one another for pedestrians; there are dead streets created by poor town planning (especially, and most sadly in my opinion, New Street, half of which is just the back of a shopping centre and a car park when it should be a thriving street in its own right); and although the city lies in the heart of fantastic countryside it feels tragically cut off from it by the encircling dual carriageways and roundabouts. There is one theme that unites these three things – in my view Salisbury is a city that has been designed in the last 70 years or so of its history rather too willingly around the needs of motorists and cars. Historically that’s fine – the twentieth century was the high point of the car – but I think that the future – even the very near future – will be different. Some European cities – like Copenhagen, Stockholm, Oslo, Pontevedra and Amsterdam – are leading the way in making their cities much less car-focused. There is also a pressing need to reduce carbon emissions as demonstrated by the recent IPCC report. If this is the way that all cities will eventually go, why not lead from the front? I’m going to lay out some of my ideas and you can feel free to jump up and down with joy at their brilliance or else screw this up, put it in the bin and forget about it. Now I know that the future of Salisbury is not up to you, but I expect that you’re quite influential in talking to people about what that future might be and I’d like to think that some of these ideas are at least worthy of discussion and consideration. In this more peaceful, unpolluted and attractive city centre, it will be easier to make a memorable retail and restaurant experience for Salisbury that is different to other cities; and much more inviting than going to an out-of-town shopping centre like Hedge End. To complement the city centre changes and to encourage people to visit from surrounding areas, create an extensive network of mixed cycle and pedestrian paths that protect cyclists and pedestrians from traffic on the main roads – one to Old Sarum, the Woodfords and, ultimately, Stonehenge; one to Wilton; one to the Winterbournes; and one down the Avon Valley all the way to Ringwood. This will encourage exercise, wellbeing and tourism and reduce air pollution and carbon emissions. Promote electric bike use with cycle recharging points along the routes powered by renewable energy and sites for cafes/refreshment stalls. Use extensive, sensitively managed tree and wildflower planting along these routes to make them more attractive, promote biodiversity and the concept of eco-tourism. Promote cycle tourism and guided cycle safaris in and around Salisbury, creating jobs in the city. Improve park and ride schemes with better and faster – and even more entertaining (cycle rickshaws, electric tuk-tuks, free bicycles for instance) – ways of bringing people into the city – rewarding those who want to park outside. Consider a small-scale bike hire scheme along the lines of London’s Santander bikes. Ultimately consider introducing a light railway (electric monorail?) to connect park and ride with the city centre and even further afield to outlying villages and towns not currently connected by rail. I realise that some of these ideas are way out there in terms of current thinking and financial feasibility but I think that Salisbury could become a far more successful city if it is ambitious in how it approaches the future. The thing I worry most about for my kids is not Brexit or Vladimir Putin or ISIS or Donald Trump; not directly at least. No, I worry most about the destruction of the natural environment: habitat loss, biodiversity destruction, ecocide and climate breakdown. Regardless of what else is happening, if there isn’t a planet that is habitable, then all of us are up the proverbial creek without a paddle. The impact may be proportionately worse for poorer people and those in particularly vulnerable places in the world, but ultimately nowhere in the world is immune from the impact of the environmental disaster that is happening right now. I believe that this is the most important issue of our era – the later stages of the fossil fuel age where humans are coming to realise the consequences of burning all of those fuels that we found in the ground. Yet given the lack of column inches in newspapers, minutes of news broadcasts and documentaries, and statements from political parties, you wouldn’t realise that this is such a critical – possibly existential – subject. It reminds me of the Jaws films – the people of Amity cannot admit to the fact that there is a killer shark in their waters as it would destroy the tourist industry in the town. Chief Brody is treated as a pariah for daring to publicise the fact that the shark is out there. Well, climate breakdown and ecocide is the killer shark in the waters and people are putting on their dark glasses and pretending that there’s nothing to worry about because they realise that business-as-usual can’t happen if a genuine solution is going to be found for this crisis. Yet I am optimistic. I feel that most people want to do the right thing, yet inadvertently end up contributing to more environmental problems. It needs to be made easier for people to begin tidying up the mess that humans have made. I am as culpable as anyone – we all are. And that is one of the reasons that makes it easy to feel powerless. 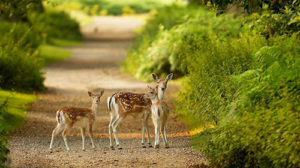 I care about wildlife yet I feel that I am doing almost nothing to improve the situation other than making regular contributions to wildlife charities and trying to teach my children respect for the natural world. I think that there is a lot to be hopeful about in the UK: the decarbonisation of power and the growth of renewables; the increase in electric cars; the growth of cycling and cycling infrastructure; huge interest in the rewilding movement; and the mainstream recognition that plastic pollution is choking our habitats, for instance. But all this is a drop in the ocean compared to what needs to happen. Some of these things are detailed in The People’s Manifesto for Wildlife. I hope that the walk this weekend helps to persuade more people in the mainstream media and political parties that these proposals need to be considered much more seriously – and urgently – if as a nation we are to arrest the decline of our natural environment and start to improve it. This year has for me been the year of the saxophone – from rediscovering the music of Coleman Hawkins and John Coltrane, and going to see Pharaoh Sanders at Ronnie Scott’s in Soho in July and Too Many Zooz at the Shepherd’s Bush Empire in March, to getting to know Austrian saxophonist Guido Spannocchi, who regularly plays at the Bloomsbury Hotel basement bar just off New Oxford Street. But the crowning glory of the year for me has been finding out about the unique, multi-instrumental talent of Rhasan Roland Kirk. And I’ve had to ask myself: how has it taken me so long to begin listening to this giant of 20th century music? I should have arrived at this stage earlier. I came to Rhasan Roland Kirk via Jimi Hendrix. I knew that Jimi Hendrix was a big fan of Kirk’s – it is a well-documented fact that Hendrix had the Kirk album Rip, Rag and Panic in his luggage when he arrived in London from America in 1966. But for some reason I had never checked out his music. I wondered after I had listened to him if this was because Kirk, in a genre of individualists, was such an arch-individualist that he didn’t logically fall into any of the standard family trees of jazz – he was way out there doing his own thing. The use of the pronoun ‘we’ has always been a bit of a problem for me in the broadcasting business; so much so that it is one of the main reasons I stopped listening to Today on Radio 4 (main culprit John Humphrys) and, after watching Newsnight last week I decided to contact presenter Evan Davis about it. He very graciously wrote me a thoughtful reply and a copy of our exchange is published below – with Davis’s permission. And here is one of the more egregious recent examples of Humphrys’ use of ‘we’, as spotted by Twitter user James Melville. particular is one of the reasons why I stopped listening to that show. Did I overreact? Well, maybe, but I don’t think so. Who knew that experimental literary fiction could give you belly laughs? 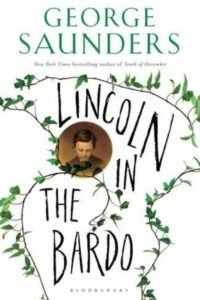 Well, Lincoln in the Bardo is one of the funniest and most raucous books I have ever read, of any genre. I didn’t expect it to be funny. It is also many other things as well – but I think that its humour was the greatest surprise for me, especially given that the principle focus of the novel, outwardly at least, is death. Yet on reflection I don’t think that I should have been so surprised because this book does not provide a type of artistic experimentation that feels academic and ultimately alienating; instead it offers a carnivalesque celebration in the finest traditions of the novel, which has it its heart Bhaktinian dialogism and heteroglossia. Do you see what I did there? I explained how a novel that you might think would be artistically elitist actually turns out not to be using academically elitist language. That deserves a bit more explanation. Mikhail Bakhtin was a Russian theorist who wrote extensively about the novel using slightly obscure terminology. But beyond the terminology, he offers a compelling analysis. Let’s go back to what the word ‘novel’ means – new and original. Bhaktin’s view of true novels is that they always seeking to be new and original by being an ‘anti-form’ that undermines the idea of single, authoritative truth in texts. He argues that the thing that makes novels distinct is the way that they incorporate a range of different speech types – or ‘discourses’ – that compete against one another within the text in a way that never fully resolves itself. This is something that Bhaktin called ‘dialogics’. David Lodge explained it by saying that ‘As soon as you allow a variety of discourses into a textual space…you establish a resistance… to the dominance of any one discourse.’ So rather than a unified, homogenous form of language, the novel presents a heteroglossic variety of language types. I’m as guilty as anyone of this; guiltier than most even. Apart from Max Hastings, Christopher Nolan and Gary Oldman, perhaps. I wrote The Summer of ’45 as a commemoration of the 70-year anniversary of D-Day. I worked with Dame Vera Lynn to tell her story of touring Burma and singing to the Forgotten Army in 1944. I wrote an award-winning, real-time, blow-by-blow account of the Battle of Britain on social media for the RAF Benevolent Fund. 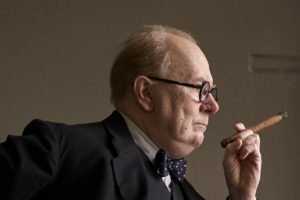 But of course it’s not only me – we have recently had Dunkirk and Darkest Hour. Gary Oldman won his Oscar. Dame Vera Lynn, at 100 hundred years old, was amongst the bestselling female musical artists of 2017. The British publishing industry continues to have an insatiable appetite for Second World War titles, which are eagerly consumed by wealthy Brexit-voting baby boomers who are about the only segment in society who still have the time and money to sit around actually reading a sizable quantity of books, while the rest of us work 60-plus-hour weeks just to stay afloat. Writing about history has been a large part of my career and how the United Kingdom stood firm against Nazi Germany is a cornerstone of this country’s modern story and folklore. I think it’s important and I don’t want to knock it too much. But other countries are bemused by this obsession with the past – see for instance the German Ambassador to Britain. I share his sense of puzzlement. I believe that as a country (and I would argue that the older generations are more to blame than the younger ones) our collective cultural obsession with the past is damaging to the UK – we are spending so much time creating and consuming cultural artefacts about the wars of the twentieth century, that there is very little space for visions of any kind about the future. It means that as a nation we are failing to adequately prepare ourselves for what lies ahead. 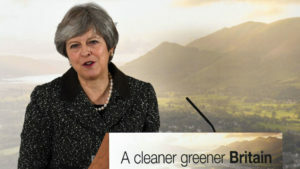 So, the government – with a tap of a wand and a puff of smoke and Michael Gove’s mercurial year 10 prefect’s smirk and Theresa May’s sanctimonious ‘Caring Conservative’ face – launched their 25 year environmental plan in January. Reaction to it has been mixed. Professor Alastair Driver offered up a ‘cautiously optimistic’ verdict which chimed with my first thoughts. He writes that ‘we at Rewilding Britain feel that the content [of the plan] is promising. And we look forward to helping ensure that its delivery lives up to its aspirations for a “greener future”.’ The note of caution comes from the fact that the plan is really just a collection of well-meaning statements with no obvious plan to put any of it into action. Which made it, in the words of George Monbiot, ‘A Grand Plan to Do Nothing’. ‘In terms of rhetoric, the 25 Year Environment Plan is in some respects the best government document I’ve ever read. In terms of policy, it ranges from the pallid to the pathetic. One of the problems with rewilding, as a friend knowledgeable in this area mentioned to me at the weekend, is that the people who are generally enthusiastic about it are not the ones who own the land that they want to see rewilded. And their point was that this means the biggest proponents of rewilding can afford to be idealistic about what would they like to happen to land when they don’t rely on it to give them an income. 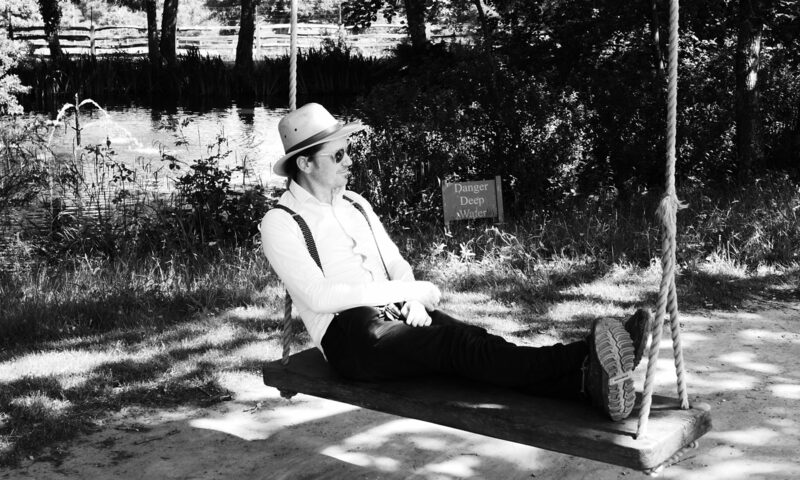 Leo P – the Jimi Hendrix of the baritone sax? …Leo Pellegrino (or to use his stage name, Leo P – but I think he should stick with the Pellegrino name – if there’s one thing this guy has got, it’s plenty of fizz!) became a global star as millions watched the YouTube videos of him playing with the ‘brass house’ trioToo Many Zooz, busking on the New York subway. An often overlooked problem of the whole Brexit referendum is not the result, but the mechanism that was used to achieve it. The truth is that the United Kingdom is not used to referendums and that has meant that at least part of the crisis that has ensued from the 2016 vote has been how to interpret, contest and implement the result. Only three referendums have ever been held which have covered the whole of the United Kingdom, including the 2016 Brexit referendum. Not only that, but our first past the post electoral system means that the national result at general elections is actually only ever an aggregated result of all the separate constituency votes. In other words, the UK has a highly localised electoral system – and there is very little precedent for any sort of meaningful national vote unlike in many other countries where there are, for example, presidential elections and proportional representation on a national basis (parties are awarded seats on the basis of their percentage of the national vote) .